Bollywood is the only global challenger to the traction of gigantic Hollywood. While India is full of regional cinema but it is dominated by Bollywood and Hindi Movies which releases every week. Completion of 2017 is not far away and it has given us many successful films that eventually brought success to Bollywood. 2018 too had some upcoming movies which are definitely going to make 2018 a hit year. It is the first Indian film that is directly shot in 3D. It is an upcoming science fiction film featuring Rajinikanth and Akshay Kumar in the never seen before avatar. It is one the most anticipated films of 2018. The film is all set to release on January 25, 2018. This is among most awaited upcoming Bollywood movies, its a sci-fiction featuring Rajnikanth & Akshay Kumar. 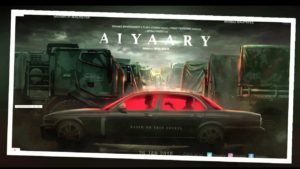 The poster itself is all enough to give you goosebumps, with Akshaya roaring. 2018 is definitely of Akshay Kumar with 3 back to back upcoming movies- 2.0, Padman & Gold. This one is Anushka Sharma’s third production with her production house. With the release of its first poster, Anushka looks unrecognizable in this riveting poster. It looked intriguing. 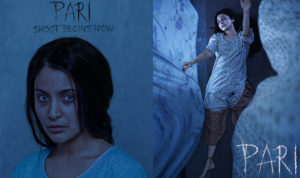 The right side of the picture suggests PARI may be inclined towards thriller, mystery or even horror. But we cant do anything but speculate till an official announcement. Pari will hit the theatres on 9th February 2018. Witness the story of two Indian army officers. This film features Sidharth Malhotra and Manoj Bajpayee in the lead roles. This movie is based on the real-life incident. The release date is 9th February 2018. 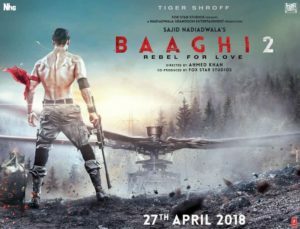 It is an upcoming Indian martial arts film featuring Tiger Shroff and Disha Patani in the lead roles. Its first look is super fierce and intense. It’s all set to release on 27th April 2018. 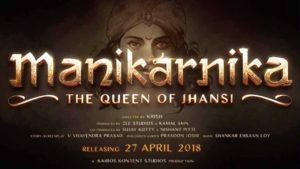 Manikarnika: The Queen of Jhansi is an upcoming biographical movie about the life of Rani Laxmi Bai of Jhansi. Kangana Ranaut who essays the role of Rani Laxmi Bai can be seen sporting a regal look. It is scheduled to release on 27th April 2018. It is the most talked biopic that you cannot miss at all. 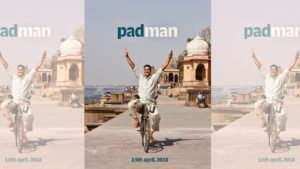 Starring Akshay Kumar, Radhika Apte, and Sonam Kapoor in the lead roles Padman is an Indian Hindi comedy-drama film. 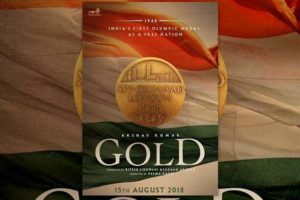 It is an upcoming Indian sports movie. It is going to be the biopic of our very famous Hockey player, Balbir Singh. Akshay Kumar will be seen portraying the role of Balbir Singh. 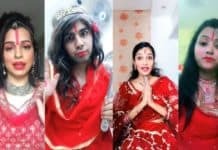 Akshya is definitely in the rage with back to back upcoming Bollywood movies in 2018. It is an upcoming biographical political film written by Hansal Mehta. 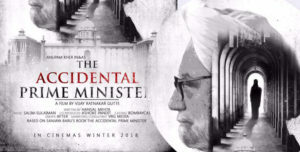 We will have Anupam Kher will be seen essaying the role of Manmohan Singh. 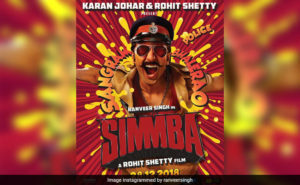 This is the first time that we will see Ranveer Singh essaying the role of a cop. Directed by Rohit Shetty, it will be full of action, drama, and entertainment. I can’t wait to watch Ranveer in this role, i wish this become a hit among all upcoming Bollywood movies. (Ranveer love’ u know). Featuring Sushant Singh Rajput and Sara Ali Khan in the lead roles which mark the debut of latter in acting. It is directed and co-produced by Abhishek Kapoor. 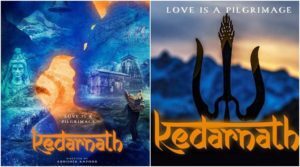 It is apparently the love story took place in the backdrop of divine Kedarnath. 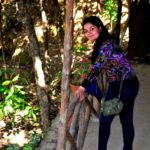 This is period action Hindi film starring Aamir Khan, Amitabh Bachchan, Fatima Sheikh and Katrina Kaif in the lead roles. It is about the gang of thugs who posed the serious challenge to the British Empire in India. Another among upcoming Bollywood movies that is most hyped due to the starry presence of Aamir & Amitabh together. 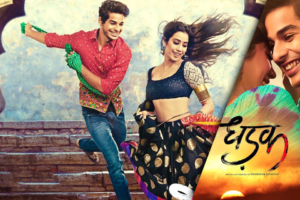 Fans are going crazy ever since Karan Johar unveil the poster of movie Dhadak which mark the debut of Jhanvi Kapoor and Ishan Khattar. It is an official adaptation of the movie ‘Sairat’. It is slated to release on 6th July 2018. So 2018 is definitely going to be a roller coaster experience for cine lovers, with few astonishing subjects being featured in upcoming Bollywood movies and some new faces getting unveiled on the silver screen. Psst- Sara Ali Khan & Janhvi Kapoor.